Tonight, I am leaving for New York to represent the State of Israel at the United Nations. On the issue of Iran, we are all in agreement on the goal of preventing Iran from achieving nuclear weapons. On the day when we pray to be inscribed in the Book of Life, a platform was given to a dictatorial regime that strives, at every opportunity, to sentence us to death. On the eve of Yom Kippur, which is sacred to the Jewish People, the Iranian tyrant – before the whole world – chose to publicly call for our disappearance. This is a black day for those who chose to stay in the hall and listen to such slander. In my remarks to the UN General Assembly, they will hear my response. As the Prime Minister of Israel, the state of the Jewish People, I am working in every way so that Iran will not have nuclear weapons. History has proven that those who have wanted to wipe us off the map have failed, as the Jewish People have overcome all obstacles. We have set up a magnificent state, among the most advanced in the world. Israel is a modern and strong state thanks to the strength and talents of its citizens and to our faith in the justice of our cause. Last Friday there was a terrorist attack on our border with Egypt in which IDF soldier Netanel Yahalomi fell. Netanel had a non-combat [medical] profile but insisted on serving as a combat soldier so he could defend the homeland. We send our condolences to his family. In the same incident, the men and women soldiers of the Caracal unit stormed the terrorists’ position and killed three of them. An IDF soldier was wounded; we wish him a rapid recovery. I would like to praise the action of our fighters in preventing a terrorist attack that could have been much deadlier, and I think that this underscores the importance of the Government’s decision to build a security fence on the border with Sinai. Without a Government decision to build a security fence on our border with Sinai, Israel would be flooded with illegal work infiltrators, as well as terrorist cells on the ground. This has been prevented due to this decision and due to the action of the IDF’s fighters. This was done of course, we made our decision, after the issue had not [previously] been dealt with. Today, I would also like to focus on another thing that the Government did after many years in which the issues were not dealt with – I mean in the health field. We will hear a briefing by Deputy Health Minister Yaakov Litzman on the Government’s impressive activity in this area. We are now adding hospital beds after a decade in which not a single bed was added. In the decade before the Government was established, not one hospital bed was added – we are adding 1,000 hospital beds. We recently dedicated a medical school in Safed, after almost 40 years in which no new medical school was opened in Israel. We all know that there is always a shortage of doctors – we are trying to close this gap, inter alia, by this measure. We are also taking a series of steps to lower the cost of medical treatments. We enacted free dental care up to age 12 – as of now there have been approximately two million free treatments. We also canceled the fee for infant care clinics; it had risen by hundreds of shekels. We are subsidizing things such as hearing aids. We have strengthened medicine in the Galilee and the Negev by opening forwar5d emergency rooms, emergency rooms in 12 communities. We have added MRI machines to the hospitals there; this had been a continuing complaint for years and this was also dealt with. I would like to say that this investment has had results. Recently, Israel was ranked 6th in the global health index of 143 countries. One item that was checked was life expectancy. For men, we ranked second among OECD member states; the life expectancy of women is higher, and it is increasing. This, of course, is good news. I would like to thank you, Deputy Health Minister Yaakov Litzman, and the people at your ministry for this important work in strengthening the health of Israeli citizens. After Yom Kippur, I will take off for the US in order to speak there before the UN General Assembly on behalf of the citizens of Israel. After the speech, I will meet with UN Secretary-General Ban Ki-Moon and Canadian Prime Minister Stephen Harper, who recently made a moral and brave decision against Iran, and with US Secretary of State Hilary Clinton. I will reiterate that the most dangerous country in the world must not be allowed to arm itself with the most dangerous weapon in the world. In conclusion, this is the last Cabinet meeting for our friend, Minister Yossi Peled. Yossi, yours is the story of the State of Israel. You survived the holocaust and came to contribute to the revival of our nation: You were an IDF soldier and then commander, and afterwards GOC Northern Command, and afterwards you entered public life and became a Government minister. President Obama and Israeli Prime Minister Benjamin Netanyahu are set to meet on the sidelines of the United Nations General Assembly. Netanyahu is scheduled to arrive Wednesday in New York for the General Assembly. He told his Cabinet on Sunday that he will meet with Obama, as well as other world leaders, during the annual U.N. confab. White House National Security Council spokesman Ben Rhodes confirmed the scheduled meeting to reporters over the weekend. Obama is not scheduled to meet with Palestinian Authority President Mahmoud Abbas, according to the White House. Netanyahu and Abbas are both scheduled to address the General Assembly on Friday, after which Abbas said he will submit a bid for full membership for the state of Palestine to the U.N. Security Council. 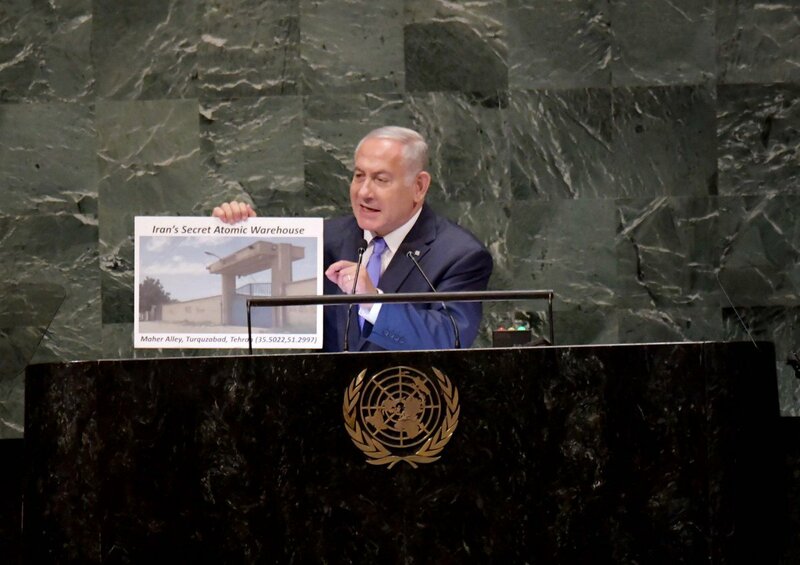 “The U.N. is not a place where Israel wins praise, but I think that it is important that I go there in order to represent both the State of Israel and the truth — and the truth is that Israel wants peace and the truth is that the Palestinians are doing everything to torpedo direct peace negotiations,” Netanyahu said Sunday. Netanyahu reiterated that the only way for Israel and the Palestinians to achieve a peace agreement is through direct negotiations. He said that Abbas a year ago had declared that the Palestinians’ goal was to be accepted as a U.N. member and its attempt will fail.